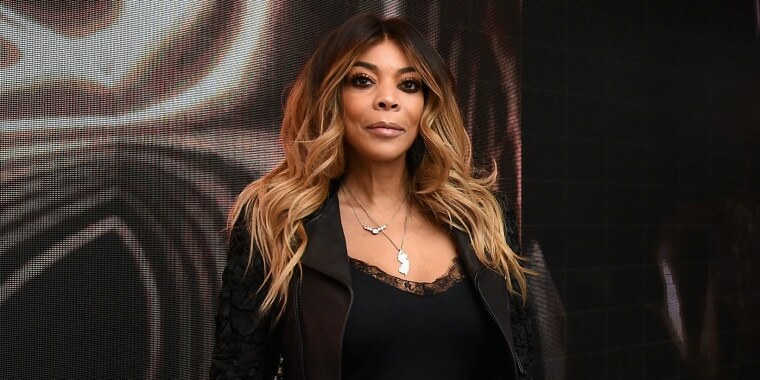 When Wendy Williams treats her viewers to the latest gossip in her Hot Topic segment, she often repeats the phrase: "Their business is our business." But the tables have turned for the embattled talk show host whose personal life is currently the hottest topic of all. "Now my business is your business," she told her audience on Monday morning's "Wendy Williams Show." And that includes her recent revelation that she's been residing in a sober-living facility for some time, as well as the even more recent news that she's filed for divorce from Kevin Hunter, her husband of roughly two decades — two topics that she made clear are not unrelated. "It's kind of funny," she said of being the focus of the gossip. "Turnabout's a fair game, I get it." But she had a lot more than that to say about it all. Williams went on to open up about the drama in her personal life and to reveal where her life is headed now. "I’m moving out of the sober house in just a few days, you know," said. "It’ll be Wendy on her own." That marks the first time the 54-year-old has alluded to her life without her husband on her talk show since filing for divorce last week. During the candid segment, she went on to explain that it was by facing her addition demons "head-on" in that facility that she came to discover what she needed to do — both for herself and for her son, Kevin Hunter Jr.
Now she says she's had a chance to "sort out every single compartment of my life," adding, "I have a commitment to me and my son to come out of here better, stronger and faster than ever." Monday afternoon, she tweeted, "Everybody has things in their life that they're embarrassed to share with the world, or they're frightened to share with the world, or they're not ready to share with the world and addressing my sobriety, my addiction, head on has really helped me sort out every single compartment of my life."